Why use our Platinum Partners? 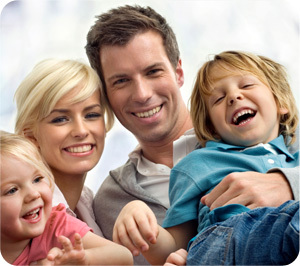 The primary reason to buy life insurance is to provide financial relief in the time of most need. It is therefore critical to choose an insurance company AND a trusted advisor who can provide fast, effective and professional service if you need to make a claim. At Cover Australia we provide much more than just a comprehensive life insurance comparison Australia wide; we also offer ongoing professional advice and service to ensure your life insurance is always providing you with the cover you need. Having the cheapest cover is no consolation if the claims process is drawn out, frustrating and painful. This is why we put such a strong focus on providing a premium level of service to all our clients. As well as securing quality, affordable cover with our life insurance comparison, you’ll also benefit from our efficient handling of the entire claims process and exceptional service for the life of your policy. Like most industries, insurance companies and advisor practices are only as good as the people in charge. These people develop the culture of the business and attract like-minded people to do business with them to form a dedicated and trustworthy company that you can trust to always put your best interests first. When we provide advice to clients we only select products that are of a high quality and are suitable to your specific needs. As there are so many different products available on the market, the most important criteria that we then use is the quality of the key personnel of the insurance company and NOT the price. We are able to guarantee this quality with our Platinum Partners. By using our respected position as a recognised industry leader, we have created Platinum Partnerships with a number of major insurance companies from all around the country. These insurance companies have pledged to provide us with facilities and service which exceeds the industry standard, in recognition of our exceptional abilities, professionalism and dedication to our clients. We call this our Platinum Partner Promise. Below is our full list of Platinum Partners and their letters of promise to you. One of the largest life risk insurers in Australia, CommInsure is the insurance arm of the Commonwealth Bank Group and have been leaders in the industry for more than 135 years. Committed to professionalism and support for each and every customer, CommInsure have a solid history of paying genuine claims promptly and are strongly dedicated to educating Australians about the importance of not only obtaining life insurance but also seeking expert insurance advice. View CommInsure’s letter of promise here. Committed to helping customers plan for their future with financial security and support, Clearview has been a market leader throughout Australia since 1976. They provide an extensive and comprehensive range of superannuation, investment, retirement and life insurance products. With an experienced, dedicated team and wide variety of innovative and affordable products designed to meet your individual needs, Clearview is proud to provide an outstanding service and efficient claims processing. View Clearview’s letter of promise here. As part of the renowned Macquarie Group, Macquarie Life provides innovative and flexible life insurance solutions that give clients reliable financial protection for the future. By combining life insurance together with trauma insurance and total and permanent disability (TPD) insurance into one unique and affordable product, they have been able to consistently deliver original and inventive insurance solutions that provide excellent value for money. View Macquarie Life’s letter of promise here. Protecting 2.5 million Australians, TAL offers a carefully selected range of life insurance, superannuation and retirement products backed by market-leading customer service and support. With a passion for making insurance solutions simple, accessible and affordable for everyone, TAL has been recognised throughout the industry with a list of awards including ‘Risk Company of the Year’ by Money Management Magazine and ‘Life Insurance Company of the Year’ in the Australian Banking and Finance Awards. View TAL’s letter of promise here. To find out what Cover Australia and our Platinum Partners can do for you, get a life insurance comparison and quote today! Disclaimer: We at Cover Australia want to emphasise that we do not believe that there is any risk of claims not being paid by insurance companies who are not our Platinum Partners or that you will have issues if dealing with these companies. In fact, we are offering you the ability to purchase insurance through us from many other companies who are not our Platinum Partners as well. We are however saying that when buying cover through us from a Platinum Partner, then we have the resources to deliver the outcome you deserve in the manner you expect.